Boulder, CO • January 17, 2012—Keynote speaker Steve Hindy will kick off the 2012 Craft Brewers Conference (CBC) in San Diego, Calif. Nearly 4,000 industry professionals will gather for four days of education and networking, May 2-5 at the Town and Country Resort. With his experience ranging from international journalism to craft beer pioneering, Hindy is expected to inspire attendees with a unique perspective. 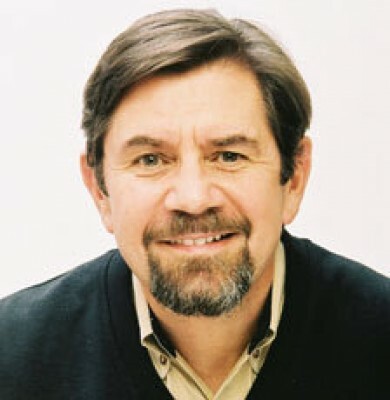 Hindy spent the late 1970s and early 1980s in the Middle East as an Associated Press correspondent. His early work was not directly related to his interest in beer. In fact, he sometimes found himself in countries that prohibited alcohol according to strict Islamic law. Nevertheless, he discovered a love for flavorful beer and homebrewing, thanks to a few foreign diplomats who couldn't live without their favorite beers. In 1984, Hindy and his neighbor, Tom Potter, founded Brooklyn Brewery, seeking to rebuild the robust brewing culture that once existed in New York's German immigrant communities. Over the last three decades, Steve built the brewery into a well-recognized brand, overcoming the challenges of distribution, a small brewing facility, skeptical retailers and, more recently, a major brewery expansion. He also authored Beer School with Potter, a memoir of their stories and lessons from 20 years of adventure with Brooklyn Brewery. Beyond his role at Brooklyn Brewery, Hindy is active in his local community and the broader craft beer community. He serves on the Governor's Economic Development Council and Brooklyn's Prospect Park Alliance, and founded the Open Space Alliance for North Brooklyn. Within his industry, he serves on the Brewers Association (BA) board of directors and has testified before Congress to emphasize the importance of self-distribution laws. Hindy was awarded the 2010 F.X. Matt Defense of the Industry Award to recognize his efforts in government affairs. "Steve is an industry pioneer," explains BA Director Paul Gatza, "and he has an interesting background as a foreign correspondent, author and entrepreneur. In a time of uncertainty in the brewing industry, he had the vision to establish a brewery in an area with a wonderful brewing heritage, which is now beloved by American beer drinkers." In his keynote address, Hindy is anticipated to discuss his passion for beer during dangerous times as a foreign correspondent and why he chose to start a brewery in Brooklyn, especially at a time when there was no real roadmap for brewing entrepreneurs. He'll also relate lessons learned along the way, the decision to expand in Brooklyn, as well as the importance of strong relationships with local, state and federal legislators. The Craft Brewers Conference is known for attracting renowned brewing industry professionals and supporters as keynote speakers. The CBC is the nation's largest annual gathering of the professional brewing industry. This year's event takes place May 2-5 at the Town and Country Resort in San Diego. Conference workshop presenters cover more than 50 topics ranging from technical brewing to brewery management and marketing. A preliminary conference schedule is available on the conference website. Craft Brewers Conference also includes BrewExpo America®, the nation's largest trade show for the craft brewing industry, featuring more than 250 of the top vendors in the industry. Learn more about the Craft Brewers Conference atCraftBrewersConference.com. Applications for press credentials to attend the Craft Brewers Conference are now being accepted. The Brewers Association is the not-for-profit trade association dedicated to small and independent American brewers, their craft beers and the community of brewing enthusiasts. The Brewers Association (BA) represents more than 70 percent of the brewing industry, and its members make more than 99 percent of the beer brewed in the U.S. The BA organizes events including the World Beer Cup®, Great American Beer Festival®, Craft Brewers Conference and BrewExpo America®, SAVOR: An American Craft Beer & Food Experience and American Craft Beer Week. The BA publishes The New Brewer magazine and its Brewers Publications division is the largest publisher of contemporary and relevant brewing literature for today's craft brewers and homebrewers.